Sugar futures attract attention. In the long term, they are likely to rise. Target prices are 15.0 and 17.85. The support line is 11.96. The critical price line is 12.99. 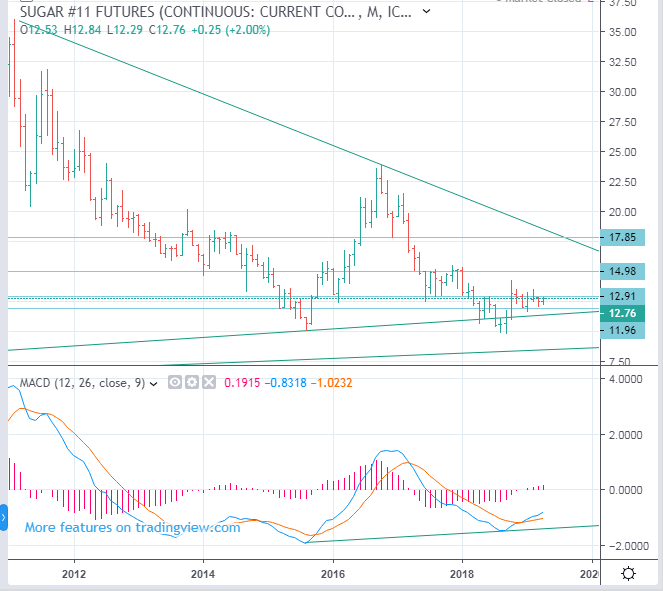 If sugar futures prices break up 12.99 strongly, it means they will rise to at least $ 15. The agricultural product market is very depressed, especially sugar. Perhaps, few people are interested in sugar. Someone seems to be managing sugar prices. We need to think about buying sugar futures.